Yakima County entered a settlement agreement yesterday, February 6, 2019, resolving the claims brought against it in in Sanchez-Ochoa. This follows up on a judgment entered against Yakima County in the related case of Olivera. 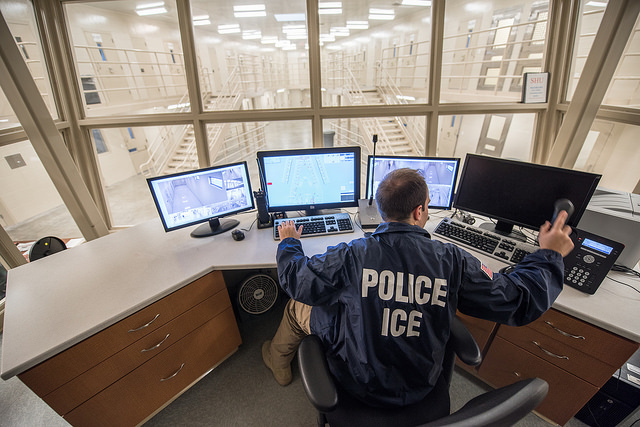 After more than a year of litigation challenging Yakima County’s use of immigration holds, Yakima County jail will change its policy on cooperation with U.S. Immigration and Customs Enforcement (ICE). This change in policy follows challenges to the county’s practice of holding individuals in county custody on an immigration hold past the time they are otherwise eligible for release from jail, violating the U.S. Constitution by infringing on the Fourth Amendment right to be free from unreasonable seizures. Columbia Legal Services and the Northwest Immigrant Rights Project (NWIRP) represented individuals, in both Sanchez and Olivera, who were unable to post bail or not released after paying bail, because of the immigration hold placed upon them under Yakima County’s former policy. Under the old policy, county officials entered an immigration hold any time federal immigration officers sent them an administrative “warrant.” When the individual was then otherwise entitled to be released on the state charge the county continued to hold the person by designating them as being placed under ICE custody. Yakima County continues to have a contract with federal authorities which permits it to hold people for immigration purposes when those individuals are physically presented by immigration officers. Judge Salvador Mendoza, Jr. previously found the federal contract did not permit the County to administratively transfer individuals into ICE custody. “I wanted to make a difference for other people like me” said Mr. Antonio Sanchez Ochoa. The result of these challenges does make a difference to individuals who find themselves in county custody and could have wide implications as local jurisdictions adopt similar policies across the country. The number of people who are turned over to ICE from Yakima county custody is likely to decline, because the county will no longer be accepting administrative forms to detain individuals and must release people when they are able to pay their bond.